For anyone who has stayed at a St. Regis Hotel anywhere in the world, they know that the hotel is known for its lavish and luxurious lifestyle. In Bal Harbour, the St. Regis takes luxury to a whole new level with the St. Regis Residences. From the moment you arrive at the entry to the moment you leave, no stone is left unturned in terms of the care taken and details that accompany owning St. Regis Bal Harbour real estate. 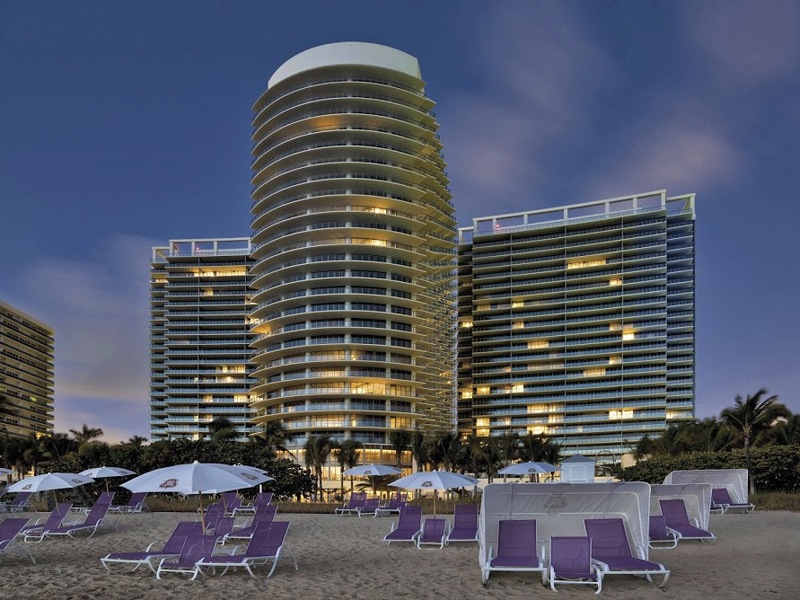 Completed in 2011, the St. Regis Bal Harbour opened its doors in January 2012. This architectural masterpiece designed by renowned architect Yabu Pushelberg is a true work of art that features three towers each consisting of 27 stories. The center building offers five-star hotel accommodations along with condo-hotel units for guests and owners. The other buildings positioned on each side of the hotel include one to five-bedroom private residences. Ranging from 1,800 square feet to over 14,000 square feet (an upper level condominium residence), there is impeccable attention to detail. The immaculate and tropical grounds are second to none with exquisite sculptures and fountains. The three story lobbies in each building are absolutely breathtaking with the finest contemporary flair. Located at 9701-9705 Collins Avenue, in the center of beautiful Bal Harbour Village, the St. Regis Residences is situated on nine acres of oceanfront property and faces 1,000 feet of white sugary sand beach. Directly across the street from the famed and exclusive Bal Harbour Shops, the St. Regis is close to everything in Bal Harbour including the finest dining and entertainment. 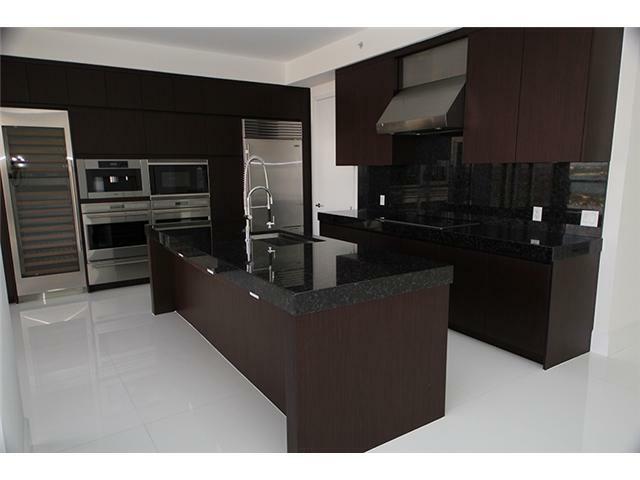 Additionally, South Beach and all that area has to offer is a short drive away. 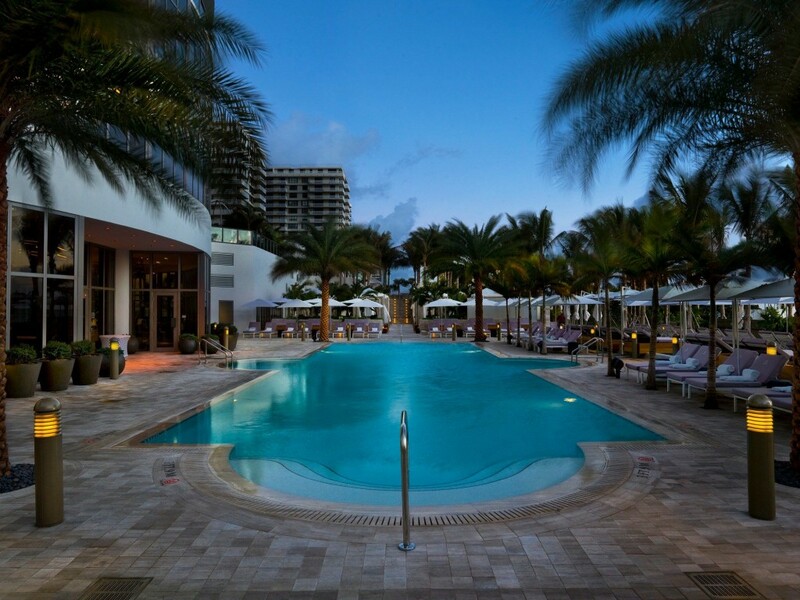 No other part of Miami exudes such a chic and opulent lifestyle any more than Bal Harbour Village. Referred to as “Florida’s most fashionable destination,” Bal Harbour is located just north of Miami Beach on a barrier island that is accessed via the Broad Causeway or famed Collins Avenue. It is home to the most affluent individuals with the highest net worth who insist on the utmost degree of indulgence in the finest points of life. The St. Regis Bal Harbour offers quintessential luxury that is only found in the ultimate five-star hotels. Here, residents and guests take advantage of all the luxury and amenities that the hotel guests receive like 24/7 room service, full access to all of the hotel services like the pools, fitness center and spa, as well as preferred status at St. Regis Hotel locales. On top of that, they receive more privileged amenities such as a private residents only pool and spa, 24-hour in room dining via catering or their own personal chefs, private beach and pool cabanas with Wi-Fi, flat screen televisions, and bars, and so much more. Whether living in a condo-hotel unit or a full condominium residence, homes feature all of the amenities and extras expected with such a lavish property. In the condo-hotel, some of the highlights of the one-bedroom units include key card elevator access to these private units, perfectly decorated furnishings with state of the art electronics and appliances. Amazing views are much more enjoyable on the larger than normal balconies with comfortable outdoor furniture. 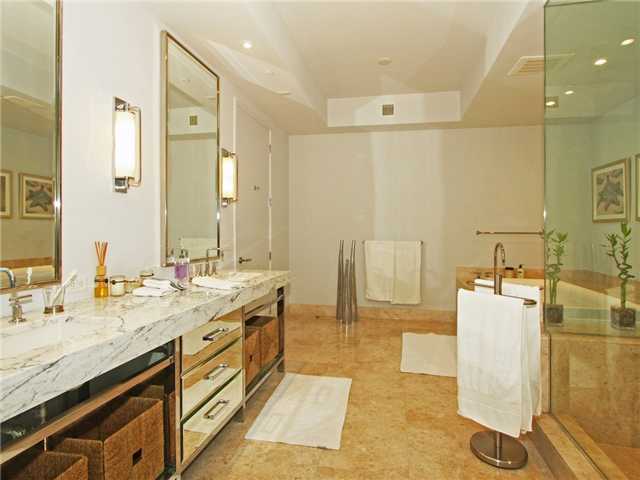 In St. Regis Residences Bal Harbour, there is only the epitome of quality and luxury for owners. Residences feature ‘smart-home’ capabilities for multiple phone lines, Wi-Fi and security; private elevator foyers for select residences and semi-private for others; east-west exposure so that mesmerizing sunrises and sunsets can be viewed; exclusive concierge; private fitness and recreation areas on mezzanine levels; state of the art stainless steel appliances and European cabinets in large gourmet kitchens; elegant master suites with walk in closets that rival any private estate; a balcony that is larger than some homes (1,100 square feet) and so much more. 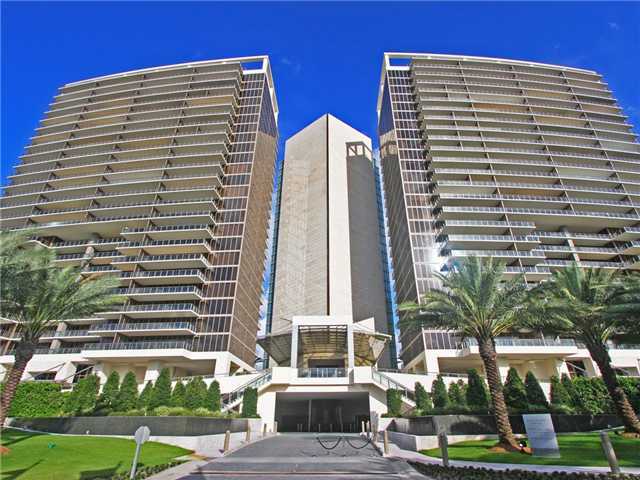 Currently, there are 25 homes for sale at the St. Regis Bal Harbour in either the hotel or the residence buildings. They range in prices from just under $2 million for a one-bedroom condo-hotel unit to well over $20 million for a large residence in one of the condominium buildings. These properties are very popular with individuals who want second homes or excellent real estate investments. For the discerning clientele not ready to make a long-term commitment to buying property at the St. Regis Bal Harbour, there are currently 12 rental properties available at the Residences. Monthly rates start at about $11,500 for a two-bedroom unit and climb to over $30,000 for a three-bedroom, furnished unit with unbelievable ocean views. One residence offers weekly accommodations for about $4,500. Some of the residences offer furnished accommodations for seasonal rentals while others are unfurnished for long term tenants. Not only is the St. Regis the most luxurious condominium residence in Miami-Dade County, it is, without any doubt, the most luxurious in all of the Florida. This property is for the most discriminating buyers who demand and expect the finest in every aspect of their lives. Owning property here gives residences the opportunity to live in the most magnificent resort and receive all the perks that hotel guests receive and so much more. 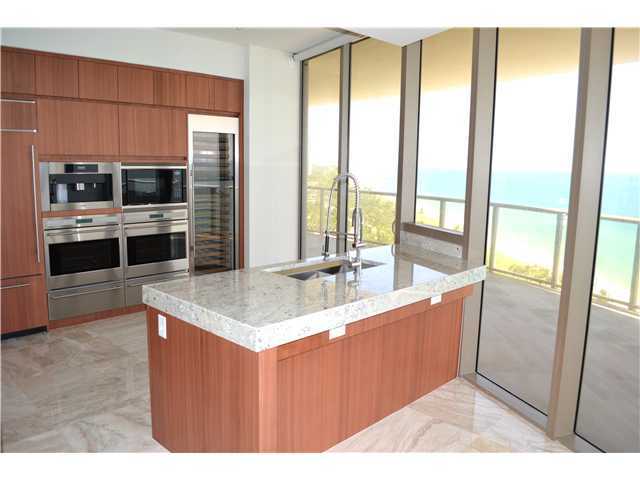 Let us help you with your desires regarding St. Regis Bal Harbour real estate or any of the other luxury resorts. Email us or call and we will get you the information you need.